Drop-off appointments available starting at 8:00 am! Click for more information. If you live in The Lakelands or the surrounding area, our licensed veterinarians and licensed technicians are here to help keep your dogs and cats happy and healthy. Rest assured that their health, well being and of course happiness is our absolute, primary focus. Beyond first rate pet care, we designed and built our new clinic to be comfortable, and kid-friendly. We strive to provide a very calm environment so your pet can relax in the waiting room and look forward to coming to see us! If you have a question, call 864-388-2100. You can also subscribe to our newsletter which is created especially for you and your pet. In between your veterinary visits, check out our blog and follow us on Facebook & Instagram for informative articles, and pet pics! With our partnership with HomeAgain, you'll give your pet the best chance of coming back home to you. All patient records are available online and you can utilize our convenient home-delivery & Trusted online pharmacy as well. Our in house system can generally provide results within 30 minutes about the condition of your pet's blood, liver, kidneys, and more. In house bloodwork allows us to reach a diagnosis quicker and get your pet the right treatment as soon as possible. Tremendously faster, and more accurate than traditional film, our digital radiographs can allow us to reach a diagnosis quicker. We can also instantly transfer images to referral institutions. We can gather information as to whether your pet's seizure or thyroid medication is set at the correct dosage during your visit. Results are typically available for us to change or maintain doses the same day as your appointment. Ultrasound can help to diagnose age-related heart disease, congenital heart disease, thoracic tumors, abdominal tumors, gastrointestinal disease, liver disease, gall bladder disease, kidney disease, adrenal gland disease, stones in the urinary bladder and kidneys, and pregnancy. We use the latest vaccines that include Lepto in dogs and a special Rabies vaccine in cats that reduces the risk of reactions. With senior bloodwork & comprehensive urine examination we can catch medical conditions earlier and treat earlier for a better outcome. One of the most common causes of nausea and diarrhea in pets is parasites. We can detect them in the clinic on the day of your exam and provide treatment. Our doctors perform a full physical examination of your pet, evaluating closely all the body systems, including the teeth, ears, abdomen, heart, lungs, and more. Not only do we perform examinations, and diagnostics, but our doctors are here to discuss any questions you might have about taking care of your pet. Part of our yearly examination includes a heart worm test that also tests for common tick diseases. Our clinic stocks a full line of the best heart worm, flea, and tick medications that provide the best protection. Pets adopted from any local humane society, including Greenwood, Abbeville, McCormick, Greenville and more receive a free initial examination at our clinic during their first month with you. Our dental cleanings include a full evaluation by our doctors and technicians. We closely evaluate the health of the gums, teeth and entire oral cavity. We have full mouth radiographs available! All dental procedures are performed under full anesthesia to protect the patient's lungs and allow us to perform a thorough and complete examination and full dental radiographs. We can also perform extractions for fractured teeth and more. More complicated procedures can be referred to our specialists at Upstate Vet Specialists in Greenville! Ask our staff about our spay/neuter services. Spay/neuter provides a convenience to you, as well as protecting your pet from common cancers and illnesses associated with non-breeding, intact animals. Our spay/neuter procedures provide a very high standard of care that includes EKG, temperature, heart-rate, blood pressure, and pulse oximetry monitoring. We offer pre-anesthetic bloodwork and IV catheterization for fluid administration and emergency drugs. We offer microchipping of all pets when we perform a spay. or neuter, but any pet is eligible. Chipping your pet is one of the most effective ways of insuring that they are found should they ever escape! The subscription to HomeAgain also offers free calls to Poison Control and more! If your pet has a small mass that is causing issues, we have the ability to "freeze" it off without the need for anesthesia. Ask one of our technicians or doctors for more information. Our doctors are trained to perform emergency surgery on many complications arising from ingestion of foreign objects, and more. However, some procedures may require sending your pet to a referral institution after stabilization with us for the best care. We maintain a close relationship with Upstate Veterinary Specialists. They are the best in the nation, and provide top-notch customer service and care for your pets. If your pet needs further diagnostics, advanced surgery, or consultation, we can provide a referral to get the answers you and your pet need. We also refer to the UGA CVM, and South Carolina Veterinary Specialists. Our new therapy laser can help in treating post-surgical incision sites for faster healing, arthritis, soft tissue injuries, and more. We offer full-service drop off appointments between 8:00 am and 2:00 pm! You can then pick up your pet before 5:30! Call to setup a drop off today! For more information call or see the drop off link at the bottom of the page. — Our collaboration with them allows for the best in diagnosis and treatment of your pet! 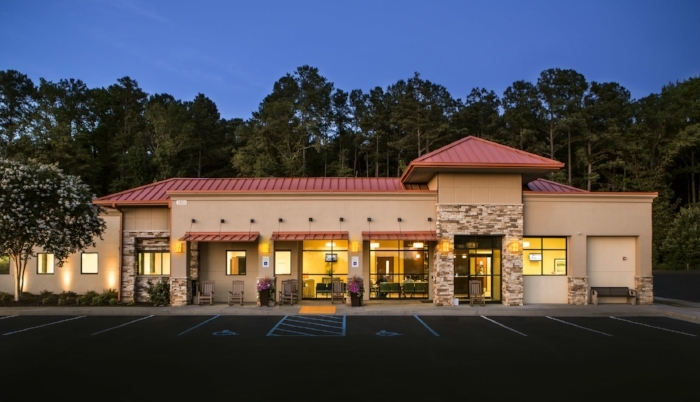 Our referral institution of choice provides the best in specialty care to the Upstate, even being awarded AAHA Practice of the Year several times. We frequently collaborate on cases with them even before you travel to Greenville. Just down the road in beautiful Athens, Georgia. The UGA CVM has exception dermatology, internal medicine, ophthalmology, and surgical staff as well as 24/7 emergency service. Just down the road in Columbia, CVETS is a great place for people who live closer to to Lexington and the surrounding area. They have an amazing team and have taken great care of our patients! 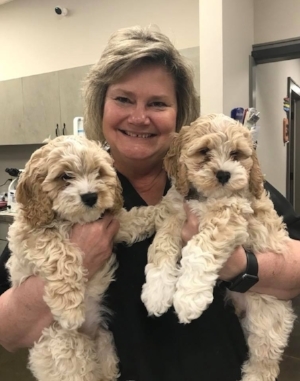 Located just down the road in Columbia, South Carolina, SCVS provides excellent emergency and veterinary referral services for many of our clients.